This is a hampatong from Borneo, the Dayak tribes create these wooden figurines portraying humans, animals and supernatural creatures. The hampatongs can be broadly divided into two types; the tajahan (ancestral figures) and pataho (guardian figures for protecting the tribe). 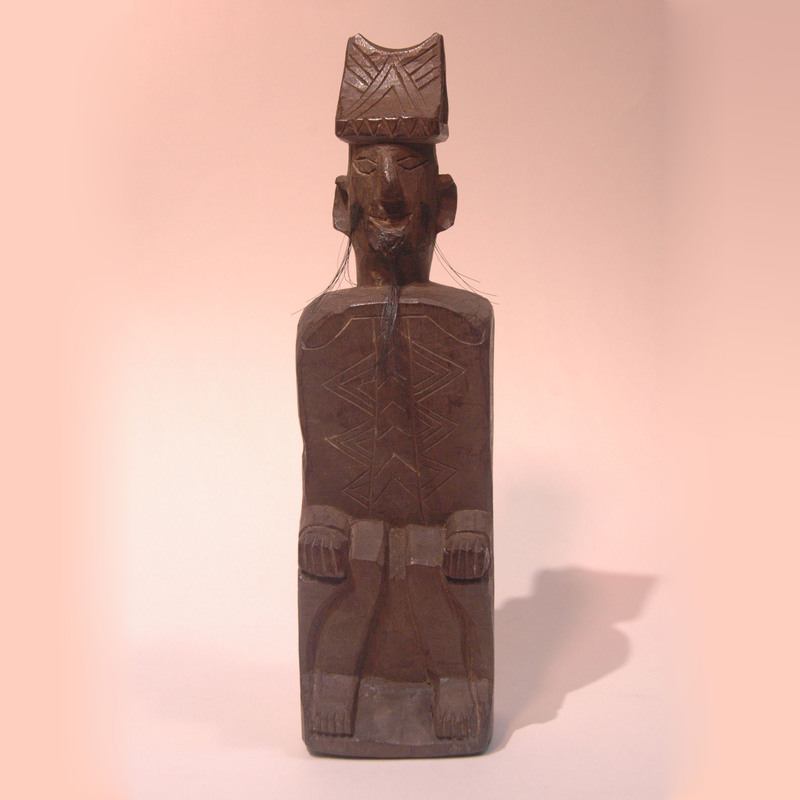 This particular figurine is a tajahan. Each figures are have their own function and meaning, for the tajahan figures the craftman would capture the details of the particular ancestor. The animal on which the ancestor is sitting on is most likely to be a goat is believed to be sacred. This is a protective amulet of a male ancestor sitting on a chair. the bread are made from coconut husk.